So far, it had been a typical New Year’s Eve house party. But Mr Satterthwaite – a keen observer of human nature – sensed that the real drama of the evening was yet to unfold. So it proved when a mysterious stranger arrived after midnight. Who was this Mr Quin? And why did his presence have such a pronounced effect on Eleanor Portal, the woman with the dyed-black hair? Agatha Christie was born in Torquay in 1890 and became, quite simply, the best-selling novelist in history. 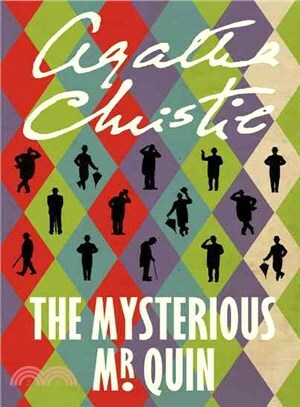 Her first novel, 'The Mysterious Affair at Styles', written towards the end of the First World War, introduced us to Hercule Poirot, who was to become the most popular detective in crime fiction since Sherlock Holmes. She is known throughout the world as the Queen of Crime. Her books have sold over a billion copies in the English language and another billion in 44 foreign languages. She is the author of 80 crime novels and short story collections, 19 plays, and six novels under the name of Mary Westmacott and saw her work translated into more languages than Shakespeare. Her enduring success, enhanced by many film and TV adaptations, is a tribute to the timeless appeal of her characters and the unequalled ingenuity of the plots.